There are many way to express the importance of blood. In the most literal sense, it is essential the substance that circulates oxygen throughout the body and ensures everything properly functions. Blood is comprised of the same type of basic elements, but not all blood cells are alike. For example, you could have an O positive blood type, or AB negative. Determining what type of blood you have can be useful in a variety of situations, such as before donating or receiving blood. If you need a blood test to determine the type of your blood, stop by a FastMed clinic near you. We have on-site labs that provide fast results and save you time and money. My Blood Type Is O Positive. What Does That Mean? There are four major blood groups determined by the presence or absence of two antigens, either A or B, on the surface of red blood cells. These groups are further broken down into positive and negative based on the presence of absence of an antigen called the Rh factor. To find out if you have an O positive blood type, or what other bloody type you are, visit FastMed. Our walk-in clinics are 365 days a year with extended hours during the week, as well as open hours on weekends and holidays. 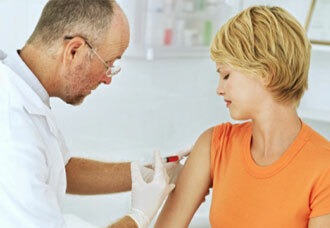 We make it easy for you to come in for a blood test at a time that is convenient for you.